C2K is featured in the Jetstar in-flight magazine in the month of March! 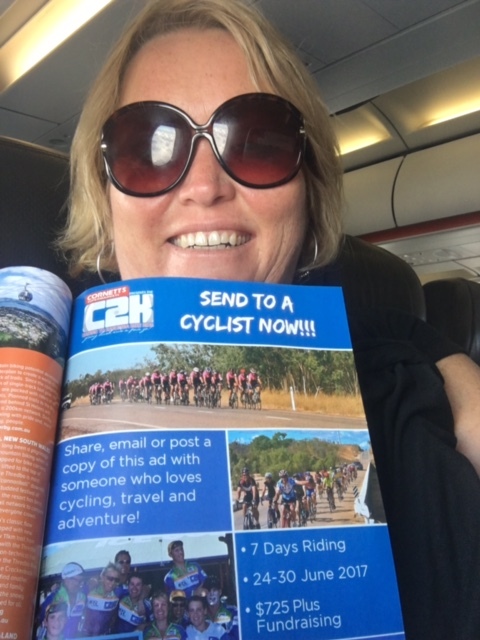 If you are jetsetting around, make sure you take a selfie with the advert and post it to social media using the hashtag #C2KBikeRide and tag a friend, for your chance to win a C2K Merchandise Pack! It is super cool and includes loads of goodies! You can also register – and tell a friend to register – using the code C2K2018 to go in the draw to win FREE registration – valued at $725.